BuzzFoto – This B list actor who is going to star in a movie that already has Oscar buzz is terrified that his brother’s penchant for underage play is going to come to light and ruin his own chances at success. He has sent his brother on a year-long “Eco” vacation to Central America in the hopes of keeping his bad behavior out of the way. 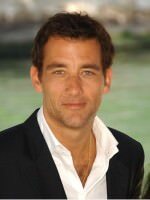 Not Clive Owen.